It is a common myth that half of all marriages end in divorce. While this was much closer to the truth 35-plus years ago, today the divorce rate is actually decreasing. According to statistics from the National Center for Health Statistics and the U.S. Census Bureau, the U.S. divorce rate for women fell to a 40-year low in 2015. This was the third year in a row the rate fell. In 2015, there were only 16.9 divorces per 1,000 married women in the United States. This is a full 25 percent drop from the record high of almost 23 divorces per 1,000 women recorded in 1980. It is also a significant decrease from 2014; in that year, statistics found an average of 17.6 divorces per 1,000 women. Of course, it is important to remember that divorce rates vary greatly among different groups, and even educational levels. Wealthy couples who are well-educated and enter into their first marriage are much more likely to remain married than those who struggle financially or have a previous marriage. According to research from the Pew Research Center, more people ages 50 and up are filing for divorce every year. In fact, the statistics show that divorce among seniors — called gray divorce — has doubled since the 1990s. Even while divorce rates fell overall, the rate for those over 50 went from five out of every 1,000 marriages in 1990 to ten out of every 1,000 in 2015. The marriages of older seniors rose even faster, tripling since 1990. In 2015, six of every 1,000 couples over age 65 filed for divorce. It is, however, important to note that the divorce rate among seniors is still less than half the rate for those under age 50. It has long been obvious to divorce lawyers that more women initiate divorce than men. Research conducted between 2009 and 2015, and endorsed by the American Sociological Association, came to the same conclusion. Twenty years ago, it was almost expected that the mother would be awarded custody of the children. Parenting plans for the father often involved every other weekend with a mid-week visit. By at least 2000, this line of thinking began to change with the Spokane County judges. The first sign of change was the Judges’ willingness to award custody to the father if he was the better and more involved parent. By approximately 2010, most judicial officers favored plans that more evenly shared residential time between the parents. “60/40” “55/45” and even “50/50” plans became common in many situations. Of course, residential schedules depend on the facts of every case. Uninvolved parents, for example, are not going to get shared plans. However, there is a definite trend in the Spokane County courts to a more shared schedule. An experienced attorney will know what result is likely under your particular facts. What you say and do on your phone or social media during your divorce can be dangerous. Back in 2010, a survey by the American Academy of Matrimonial Lawyers found that 81 percent of U.S. lawyers saw social networking play a role in some or many of their cases. Unsurprisingly, this number has increased along with the proliferation of smartphones, tablets, apps, and new social media sites. If you are unsure how to handle your social media accounts and electronic devices during your divorce, we can help you learn a few best practices to protect yourself. 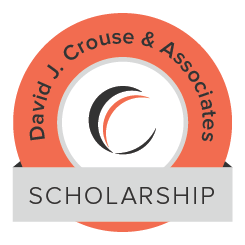 Call David J. Crouse & Associates, PLLC for divorce help. If you need help navigating the divorce or child custody process in Washington State, David J. Crouse & Associates, PLLC can help. Call our office at 509-624-1380 today to learn more.